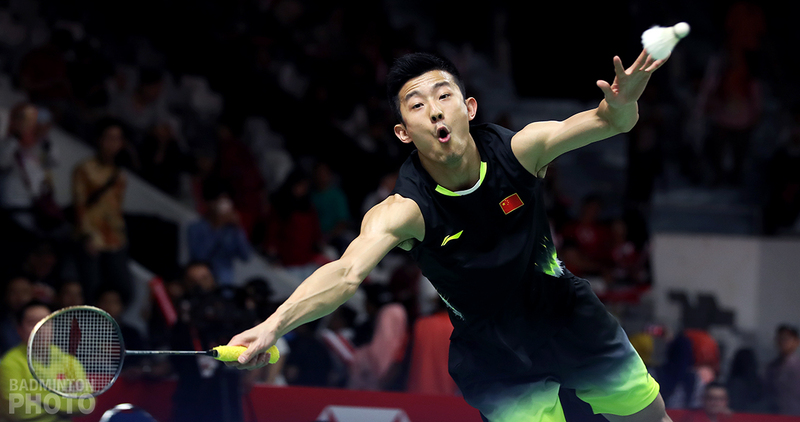 Facing Chen Long for the second straight week after his 3-month World Tour break, Viktor Axelsen showed his best performance in the quarter-final, beating Chen for the first time since 2017. 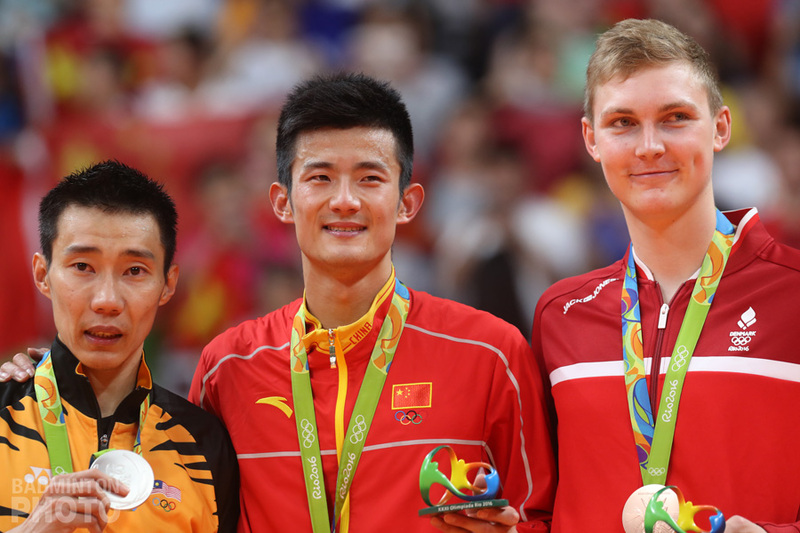 Danish men’s singles star Viktor Axelsen (pictured right) advanced to semi-finals of the Indonesia Masters 2019 after beating China’s Chen Long. He came into the match having lost all 3 matches to the Olympic gold medallist since succeeding him as World Champion in 2017. Axelsen appeared confident since the game began. Even though he was behind in their head-to-head record, having lost most recently just last week in the Malaysia Masters semi-final, the world rank #6 did not hesitate to get on the attack, both with drives and smashes. 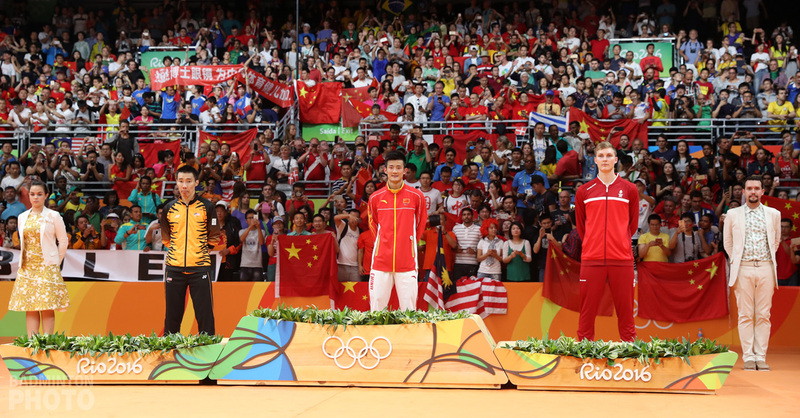 Chen Long (pictured below) did not simply give up without a fight, however. The opening game ran tight until 18-18. 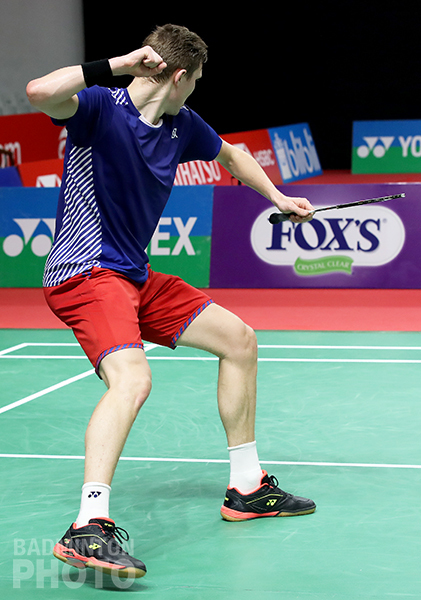 Luckily for Axelsen, he was able to surge ahead and take three straight to seal the first game win 21-18. The 25-year-old Dane become more and more confident in the second game. His smashes caused Chen Long’s defense to collapse many times. The Danes managed to ensure a ticket to the semi-finals after winning 21-14 in the second game. “This is really important to me not only because I just won, but it’s also a confidence boost for me. I just beat Chen Long,” Axelsen said after the match. “He is really a tough opponent and he also has quite a big advantage in our head-to-head record. I’m just so happy I can win this match. “Today I feel a lot better physically, feel like I have been encouraged and more confident after a long time resting for my injuries,” Axelsen added. 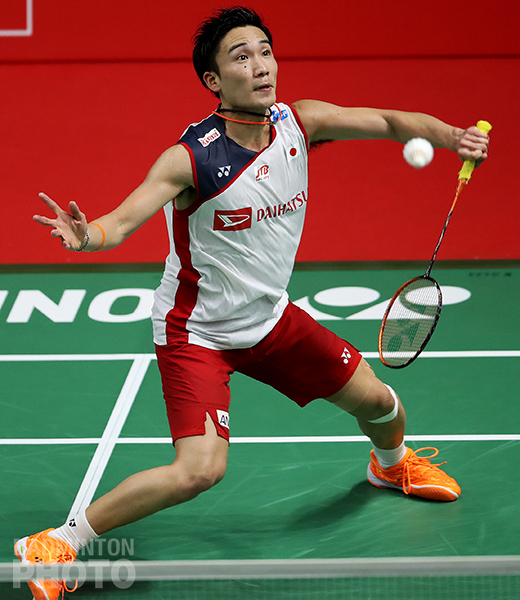 Awaiting Axelsen in the semi-final round is Japan’s Kento Momota (pictured). Axelsen has almost never been lucky when coming face to face with the current world #1. Out of the 10 previous meetings, Axelsen has managed only a single win against Momota. “I’ve lost 9 times to Momota, but it’s going to be a tough match. However, I pretty much look at this as a great opportunity to get more good training,” Axelsen admitted. The other men’s singles semi-final will bring together the last remaining host representative, Jonatan Christie and an other Danish challenger, Anders Antonsen. Indonesian men’s doubles aces Kevin Sanjaya Sukamuljo / Marcus Fernaldi Gideon successfully advanced to the semi-finals after seeing off their compatriots Fajar Alfian / Muhammad Rian Ardianto (pictured bottom). This was only their third match against the world #10, all three having happened in the same stadium and in the past 7 months. 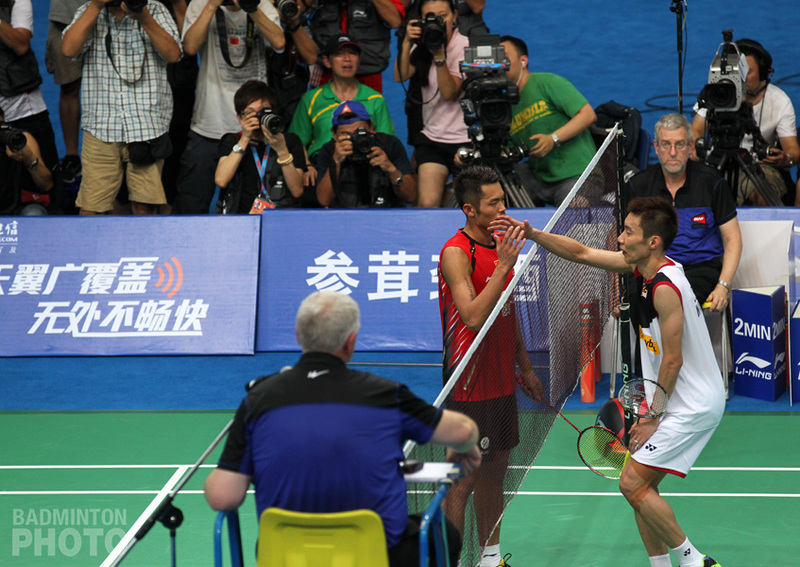 Friday’s match was very fierce, much like what happened when these two pairs last met, in the 2018 Asian Games gold medal match. Sukamuljo/Gideon managed to finish the match with a rubber game, winning 18-21, 21-17, 21-19. In the semi-final round, the world rank #1 will face the fifth seeds from Denmark, Kim Astrup / Anders Skaarup Rasmussen. Based on the record of meetings, the top seeds are the overwhelming favourites because they have defeated Astrup/Rasmussen 6 times from a total of 7 matches. After the quarter-final match, Sukamuljo revealed his motivation to continue to win, beginning with Saturday’s semi-final against the Danes: “We must admit, our burden is very high now because in every tournament, we must be a champion. If we lose, then it will be the end of the world,” Sukamuljo said. Another pair who found success in their last appearance at the Istora Senayan in Jakarta was not so lucky on Friday. 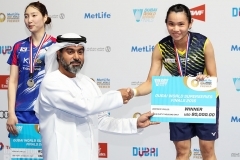 Asian Game women’s doubles gold medallists Chen Qingchen / Jia Yifan could not continue their path to the semi-final round after they lost in the quarter-finals. Chen and Jia were defeated by the pair that succeeded them as World Champions, in fact. Japan’s Mayu Matsumoto / Wakana Nagahara (pictured below) won 18-21, 21-14, 21-8 in just 49 minutes. Chen/Jia were trailing midway through the first game but turned it around and finished it 21-18. 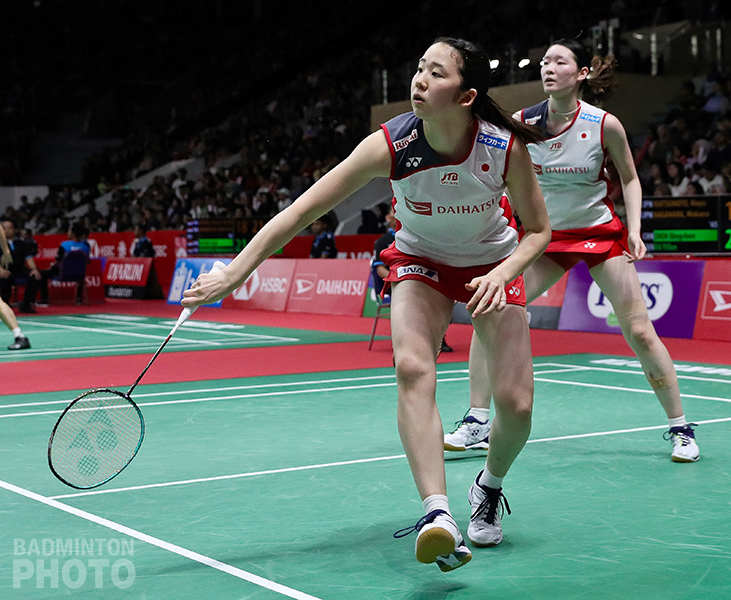 In the second game, the Japanese pair were able to get on the attack and opened up their lead late in the game. They played tenaciously and took it 21-14. “In our first game, we were still groping at our opponents’ game. We were weak at the back while our opponents forced us to play from the back,” Matsumoto said. 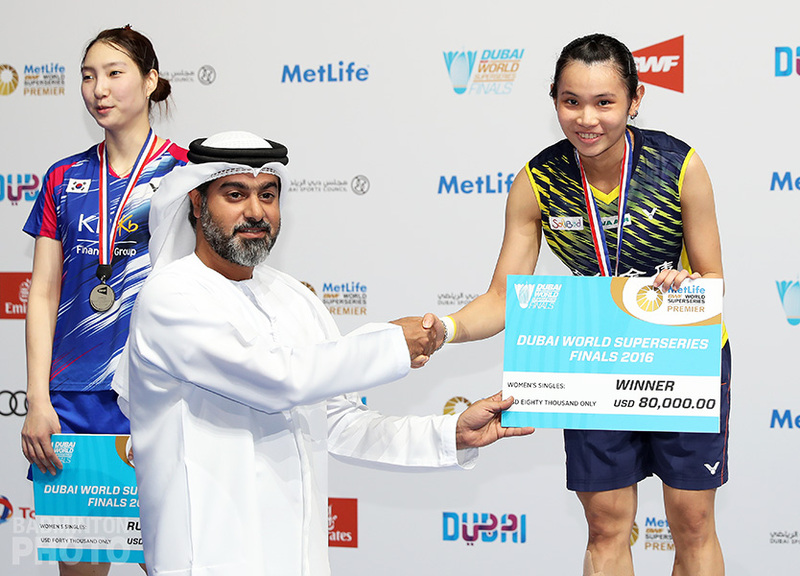 “After finishing the first game we had no choice but to implement the game strategy that we wanted and to play more patiently with that, we were able to take the advantage of our opponents’ weaknesses,” she added. The attacks by the 2018 World Champions in the third game left the Chinese duo unable to develop their game and they made many errors. The Japanese pair took by a convincing 21-8 margin. Meanwhile, Jia Yifan, who was met after the match revealed that her defeat was the result of her partner’s poor condition: “Our stamina is the main problem why we lost today. Both my partner and I are in bad condition. Moreover, my partner had been suffering from a 39-degree fever last night,” said Jia. 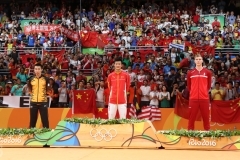 Despite losing, the young Chinese pair did not feel discouraged. They said they will remain focused on the targets to be achieved, including to compete in the 2020 Olympic Games in Tokyo, Japan. Naomi began as a Badzine Correspondent in 2015, while still a Business Management student living in Jakarta. A badminton enthusiast since 2007, she mostly spends her spare time writing about local badminton events and also maintaining one of largest badminton twitter accounts in Indonesia.